The chemicals in processed foods play mean tricks on your body, causing the body to become addicted and crave these foods with dismal nutrient levels even more. Scarily enough, chemicals in processed food like preservatives, color enhancers, trace pesticides, and BPA may even have an impact on your cancer risk (8, 9, 10, 11). #2: Plan your meals and log what you eat and drink. If you leave your meals to “chance,” you may have a difficult time losing weight. But planning out your meals ahead of time and keeping track of them helps keep you inside the parameters necessary for weight loss (14). Besides, then you don’t have to worry about what you’re going to eat next when you’re famished and resort to demolishing an entire sleeve of Oreos. Use our free WeightLossTopSecret food log, or a good ol’ piece of paper and pen, to keep track of your daily food intake for significant weight loss results (15). You’ll start to notice patterns when you track your food, such as a tendency to eat too little protein, so you can make adjustments. Strength training and cardio are both effective for weight loss. Strength training builds muscle, and muscle burns more fat over the course of a day (16, 17). Cardio also burns through fat (18), so it’s a great way to hasten your results. #4: Drink a gallon of water a day. Research shows that water is a catalyst for metabolism, and therefore weight loss (19). Being dehydrated, even just a little, slows processes in the body including your metabolism. Frozen and canned vegetables are decent options to meet your vegetable quota too. Frozen vegetables maintain their nutritional value because they’re flash frozen at the peak of freshness (14), and (rinsed) canned vegetables are a better option than not eating vegetables at all. Just make sure the only ingredient inside the package is the fruit or vegetable itself, not heavy syrup, sugar, or other additives. Sauteing, stir frying, boiling, blanching, poaching, grilling, and roasting are some of the healthiest ways I’ve found to cook clean food (20). Use minimal amounts of olive oil cooking spray when you’re frying, and leave out the heavy sauces and cheeses whenever possible. The cleanest way to add flavor to your food is to use herbs, spices, vinegars, and cooking wines to bring out the flavors in your favorite foods. Grilling also creates amazing flavor without adding any extra calories. If you have a hard time giving up your favorite processed foods, start by swapping out ingredients here and there. You can also begin making cleaner versions of your favorite comfort food recipes. I found that once I started eating clean, I started craving more clean foods, so making swaps got easier. My body also responded better to clean foods, making processed food less and less appealing. The last thing you want to do is take an all-or-nothing approach to clean eating — either I eat all clean foods or I don’t bother. 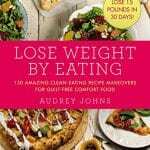 It’s much easier to comply with clean eating if you make gradual changes and try to eat a little better every day. White rice, white bread, white flour, white pasta, and white tortillas are not part of the clean eating repertoire as they’ve been “refined” (processed) and stripped of much of their natural nutrition. Manufacturers remove the most nutritious parts of the wheat and bleach it to make it white (21). White carbohydrates also cause a huge surge in blood sugar levels shortly after ingestion, leading to insulin overload. If you still feel hungry after eating white bread, it’s because of this sugar surge followed by a sugar crash (22). 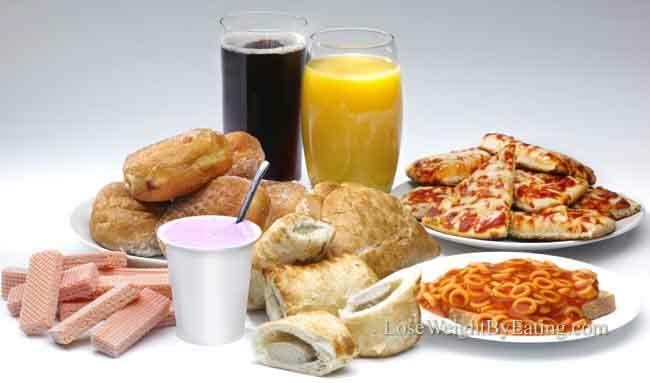 Refined carbs have very little nutritional value, while whole grains provide healthy micronutrients like filling fiber. To make the best selection, look for bread and pasta that list “whole grains” as the first ingredient. 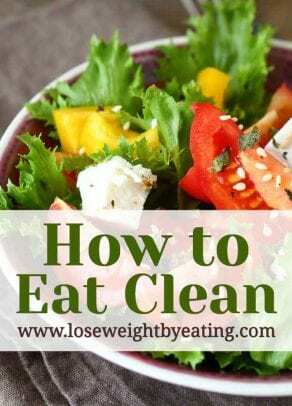 I hope this clean eating how-to has given you a clear direction on how to start eating clean. If you take these basic steps and build on them, you’ll make great progress in your weight loss and overall health. Take steps each day to improve your eating habits, and before long, you’ll notice a difference. Your energy levels, stamina, and mood should improve and your tummy should be happy. Just remember, clean eating is a way of life, not a quick temporary fix. It’s all about eating food in its most natural state, the way our bodies were designed to. And that’s how to eat clean for weight loss.